Many youngsters dream of becoming a professional footballer. But football is a highly competitive world where only a handful will succeed. Many aspiring soccer players don’t know exactly what to expect, or what is required, to make the transition from the amateur world to the ‘bright lights’ in front of thousands of fans. So, how do you become a professional footballer? The Footballer’s Journey maps out the footballer’s path with candid insight and no-nonsense advice. It examines the reality of becoming a footballer including the odds of ‘making it’, how academies really work, the importance of attitude and mindset, and even the value of having a backup plan if things don’t quite work out. 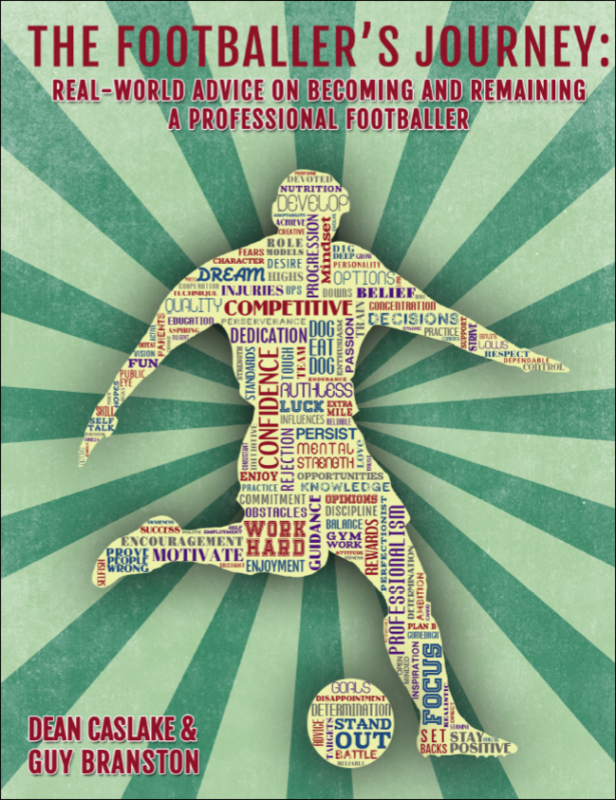 Filled with real life stories from current, and former, professionals across different leagues, The Footballer’s Journey provides honest guidance and practical tips on how to become a professional footballer and what is required to give yourself the best possible chance of turning the dream into a reality. Who this Book is for. Aimed at footballers who want to break through into the professional game, this book is essential reading for young footballers, as well as parents, amateur coaches, and even players who are looking for success a second time around. Dean Caslake is a graduate from Bournemouth University where he gained a BA studying Finance and Business. At Bournemouth, Dean was a member of the University’s most successful football team that reached the national cup final and achieved a second place finish in the BUCS Premier South division. Dean has always had a keen interest in football and, growing up, Dean was considered by some to have a degree of talent in the game. Ultimately, like many young hopefuls across the country, he failed to impress and make the step up into the professional game. He has forever remained an amateur player. Since failing to progress to a professional level, Dean has always been left wondering what other players ‘had’ that he didn’t? He wanted to know what the professionals – the people you see on a Saturday afternoon – had done differently to put themselves in the position they are in. Dean wanted to explore these unanswered questions further and “The Footballer’s Journey” was born. Guy Branston is a professional footballer currently plying his trade at Plymouth Argyle. Guy has been involved in professional football for nearly 20 years. After playing for 19 professional clubs and making 26 moves within his career, Guy has had more setbacks than most; this gives him ‘ Premier League’ insight into what qualities are needed to succeed in this up and down game. Guy also runs the website allaboutballerz.com alongside his professional football commitments. The website allaboutballerz.com provides a platform for footballers at any level to put themselves out there and get noticed. Guy works with players on a daily basis in order to help them stay in the game. This is the main reason why he wanted to be involved with The Footballer’s Journey – a book that looks into the real world of professional football. Book Categories: Self-Help, Soccer and Soccer Coaching Books.